Order - Ronald M. Baldwin Sr. 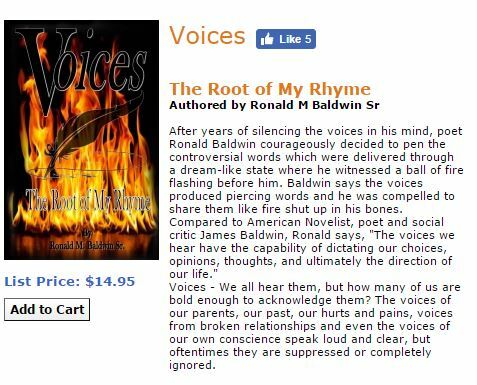 Thank you in advance for purchasing my first book, Voices. I guarantee you'll find more than a few poems you'll be able to relate to. From politics to spirituality and from love to war, I touch on all aspects of life and controversial issues. The Voices I heard from a dream-like state were penned and published with courage. If we're honest, we all hear VOICES but we don't always acknowledge them. I chose to acknowledge and accept the voices I heard in my head and publicly share them. 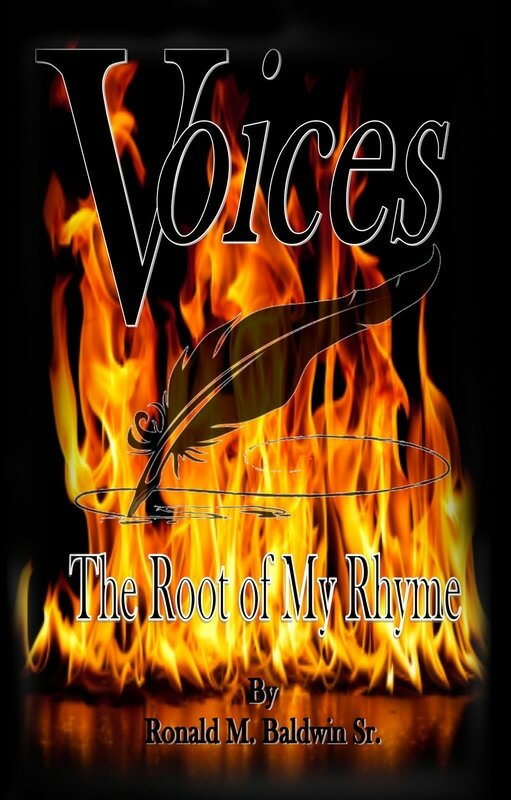 As a result, Voices: The Root of My Rhyme. Order with Amazon.com, Createspace, PayPal or wherever online books are sold!